inEvidence, part of Chime Communications plc, specialises in supporting clients’ sales and marketing teams with customer case studies in a range of formats, including those optimised for smartphones and tablets. Demand for video is soaring and last year Mike joined inEvidence as director of photography to help the consultancy expand an in-house video production team. Mike has already managed film shoots for inEvidence clients in Australia, Belgium, Canada, China, Denmark, France, Iceland, Indonesia, Japan, Malaysia, the Netherlands, Saudi Arabia, Singapore, South Africa, Sweden, Switzerland, Turkey, the UK and the United States. Mike added: “Video has never been in more demand and our blue chip clients, including Honeywell Aerospace and HP, are turning to us because we are able to support them with high quality productions from anywhere in the world and in any language. With more than 30 years’ experience of producing both broadcast and top-end corporate productions, Mike previously worked as a freelance director of photography for the BBC, global broadcasters and independent television production companies. 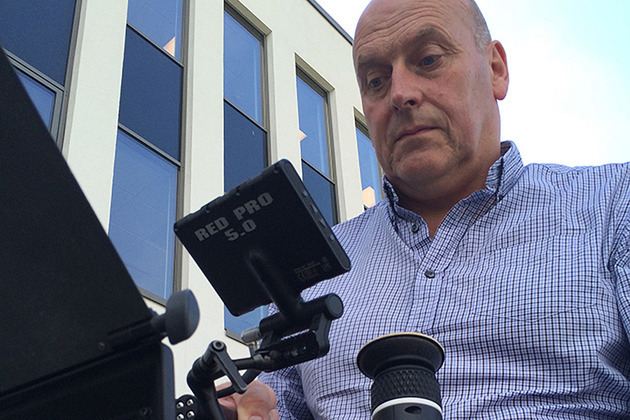 Mike’s corporate experience has included the production of videos for organisations including AstraZeneca, Barclays Bank, British Airways, Cisco, Co-op Bank and Kellogg’s. inEvidence is the world’s largest customer reference consultancy. It works with global brands to help them close more business more quickly, amplifying the peer endorsement provided by happy customers.